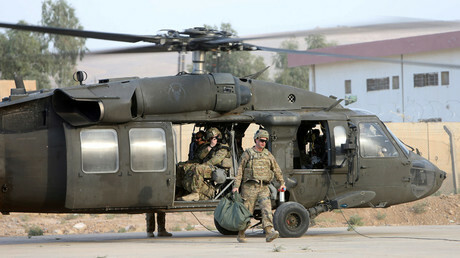 The ongoing operation in Mosul, Iraq, is taking its toll on US troops, with 16 killed and 27 wounded, according to a military source in Moscow cited by TASS. The US Department of Defense has told RT America it is only aware of one casualty. In certain cases, however, poor coordination between ground troops and air support was reportedly to blame for those killed or injured. “Two special operations soldiers died following airstrikes by US B-52H jets on Mosul suburbs,” the source said. RT contacted the Combined Joint Task Force - Operation Inherent Resolve (CJTF–OIR) for comment, which in response stated that it only has information on one casualty. “We are unaware of these reports but can confirm that one US Service member was killed Thursday, Oct. 20. Chief Petty Officer Jason Finan was advising the Peshmerga behind the forward line of troops when he was killed by an IED blast,” CJTF–OIR's public affairs office said in an e-mail to RT. The operation to retake Mosul, Iraq’s second-largest city and the self-proclaimed Islamic State (IS, formerly ISIS/ISIL) capital in the country, started on October 17. Tens of thousands of Iraqi soldiers, police, special forces and various militias are taking part in the advance on the stronghold. Their mission is being supported by the US-led international coalition. On the day of the start of Mosul offensive, Pentagon spokesperson Peter Cook confirmed US soldiers would take part in the operation.“They're in a support role," Cook stated, stressing that the units were supposed to be “behind the forward line of [Iraqi] troops." Yet last week the US army newspaper Stars and Stripes reported that “US special operators were at the front line on the edge of Mosul.” According to the outlet, the troops wore uniforms of a US-trained Golden Division to “blend” with the local forces, but asked not to be filmed. Prior to the Mosul offensive, estimates by the Debka Files (an Israeli news outlet affiliated with the country’s intelligence), claimed the US has in fact assigned 12,500 servicemen for the operation, including hundreds of special forces. 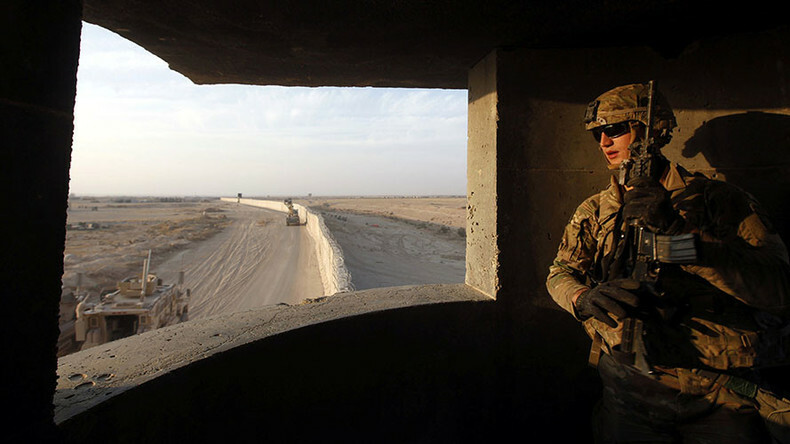 According to the Washington Post’s figures, the US currently maintains some 6,000 troops in Iraq, who are said to be mostly advisers helping to train the country’s army and police. The official US numbers put the presence at over 4,500. Speaking to RT on the reports of the casualties among the US military in Mosul, Daoud Khairallah, professor of international law at Georgetown University, said Washington will eventually have to come clean on the matter. “If it is true, the US would have to reveal the truth sooner or later. It might cover it up for a couple of days until the election passes, but eventually it will have to come up with the facts," Khairallah noted. He went on to say that in such a case "the US government will have a lot of explaining to do." Since the goal of US troops is to support the advancing Kurdish and Iraqi fighters, there is a chance that American soldiers may be killed, political analyst specializing in the Kurdistan region and Iraq, Shwan Zulal, told RT. "I would not be surprised if there is more casualties," the expert said, especially "given the way ISIS is counterattacking" using tunnels in the city. Commenting on the US labelling their troops behind the frontlines advisors, Zulala said that "in [a] situation when ISIS manage[s] to sneak through the frontline there will be direct contact with ISIS and obviously the rule of engagement will be engaging ISIS." According to retired US Army General Paul Vallely, while US special units accompany the local forces on the ground, they clearly risk death and injury as a result. "As I was an adviser in Vietnam it's very high risk sometimes to be out with these units and of course if these units come under attack by ISIS forces and others there is going to be casualties, there is no doubt about it," Vallely said.